ONCHAN, Isle of Man – March 13, 2018 – PokerStars has joined forces with its global charity partner Right To Play to raise educational funds for disadvantaged children through its first ever online multi-table Play Money charity event. The five billion Play Money chip guaranteed tournament will take place at 20:00 EST on the International Day of Sport for Development and Peace on April 6. 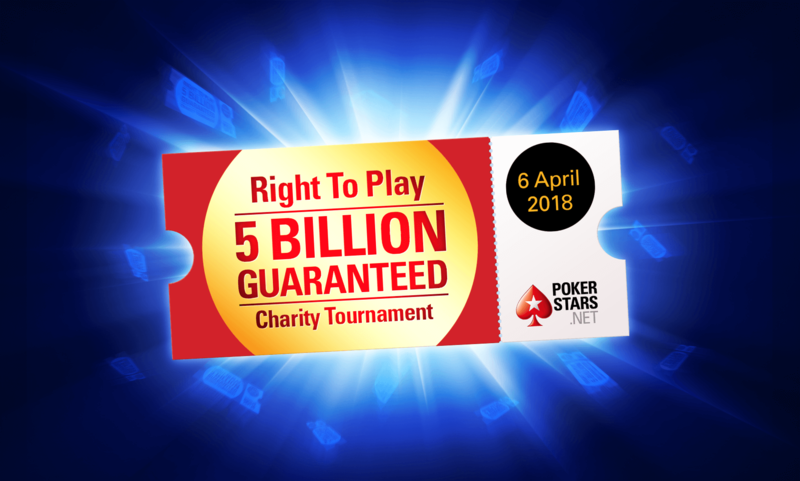 PokerStars will make a $10 donation on behalf of each of the first 5,000 players who sign up to play, with the aim of donating $50,000 to Right To Play. The buy-in for the event is one million Play Money chips, with unlimited re-buys and single add-on. In addition, players will be joined at the felt by a host of PokerStars ambassadors including Fatima Moreira de Melo, Chris Moneymaker, Celina Lin, Barry Greenstein, Jake Cody, Aditya Agarwal and Fintan Hand, as well as Right To Play celebrity ambassadors. Right To Play uses sport and play to educate and empower children in some of the world’s poorest communities. The charity reaches nearly two million children every week across Africa, Asia and the Middle East, helping them to build critical life skills and better futures, while driving social change. PokerStars and Right To Play first partnered in 2014 and have raised more than £1.5 million thanks to donations from The Stars Group’s corporate giving programme Helping Hands, as well as the generosity of PokerStars employees and players. To find out more about the tournament visit the PokerStars Blog or the PokerStars Free Play Facebook Page. Play money chips can be purchased through the PokerStars Cashier. The 1 million play chip package can be bought for $4.99 or earned for free in game. The tournament can be found by searching for tournament number '2243852571' in the lobby. Helping Hands is the Corporate Giving programme of The Stars Group Inc. (Nasdaq: TSG; TSX: TSGI). It provides support to charities through galvanising the support of the brands, players and staff. Helping Hands is the embodiment of The Stars Group ethos that working with its communities and people to make a difference is an essential part of being a responsible business. Helping Hands works with charities locally where The Stars Group have an office presence and globally through its charity partners, such as CARE International and Right To Play through which The Stars Group helps communities to recover from international emergencies and uses the power of sport and play to transform children’s lives. Since its launch in 2013, Helping Hands has contributed more than $8 million to charities around the world. 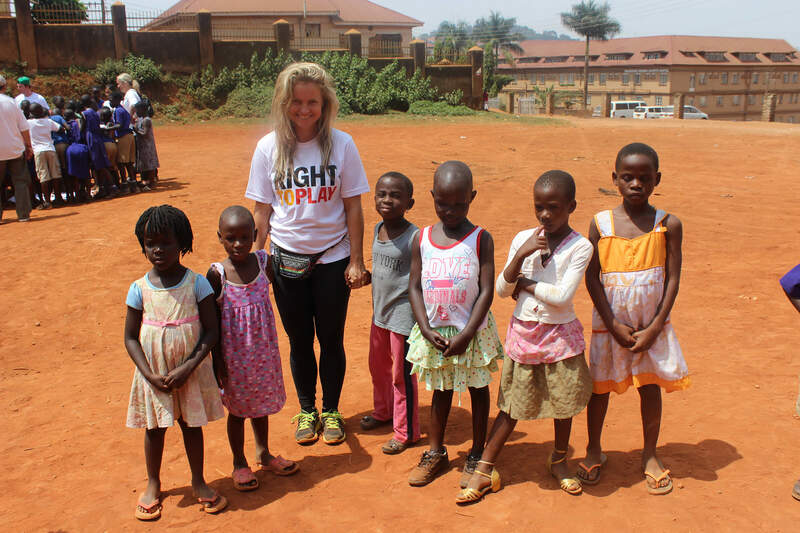 Right To Play is a global charity that uses sport and play to improve the lives of vulnerable children in some of the world’s poorest communities. Each child deserves the chance to succeed and thrive in life but every day millions of children are challenged by poverty, war, disease and poor education. These challenges put their futures at risk and rob them of their potential. Right To Play gives them back that chance. Using sport and games we make education accessible and fun, teaching children critical life skills, how to resolve conflicts without violence and how to avoid disease. Right To Play reach nearly two million children every week across Africa, Asia and the Middle East. The aim is to help every child in need to reach their full potential, and to build a future shaped by opportunity, and not just challenge.